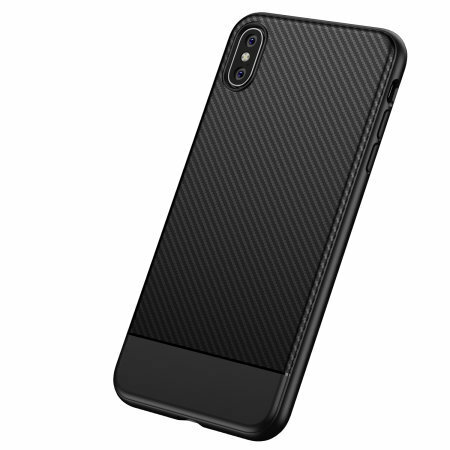 Protect your phone from scratches, knocks and bumps with the Olixar Carbon Fibre case for the Apple iPhone XS. 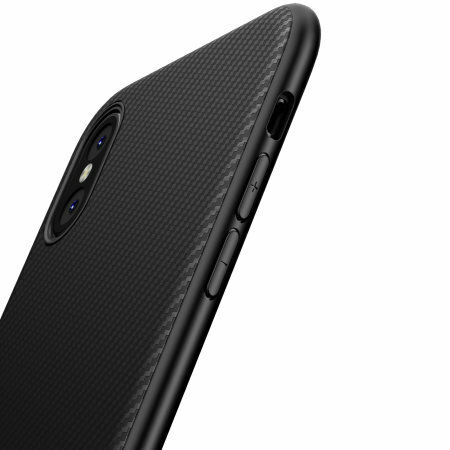 Featuring a slim-fitting textured TPU body and a smooth carbon fibre print, the case will tirelessly protect your device, without adding unnecessary bulk. The TPU core also features shock absorbing strength , which can deflect shock force and aid heat dissipation. 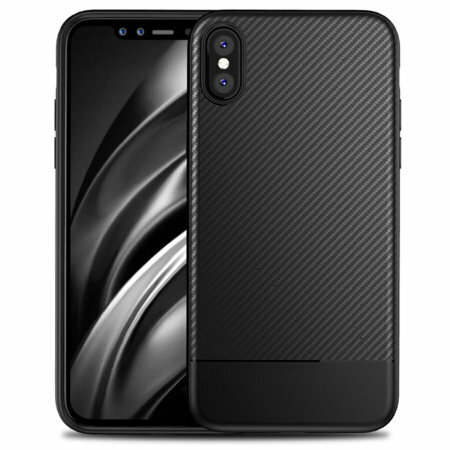 The Olixar Carbon Fibre case features a carbon fibre effect design that compliments the beautiful design of your iPhone XS. 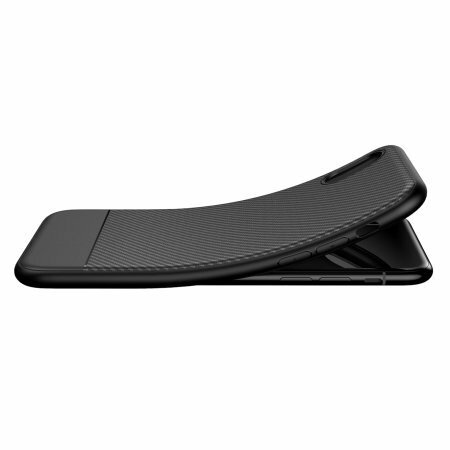 Whilst the original Apple iPhone XS construction makes the phone quite slippery and easy to drop, the Olixar Carbon Fibre case offers a more secure grip, meaning you're far less likely to drop your phone. This is a great first line of defence, often overlooked! 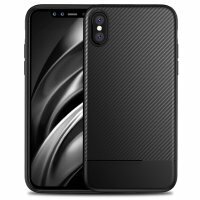 If you are reading this, you are more than likely looking for a case, which would provide protection for your Apple iPhone XS, yet stay as slim and sleek-looking as possible. 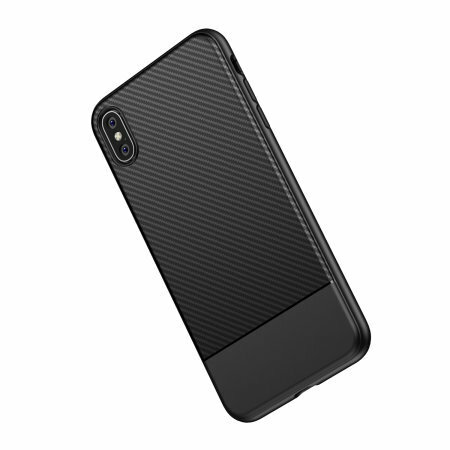 Made from a precision cut single layered piece of TPU, this Olixar case promises a contoured and slim-fitting fit, which is going to keep your phone bulk-free at all times. 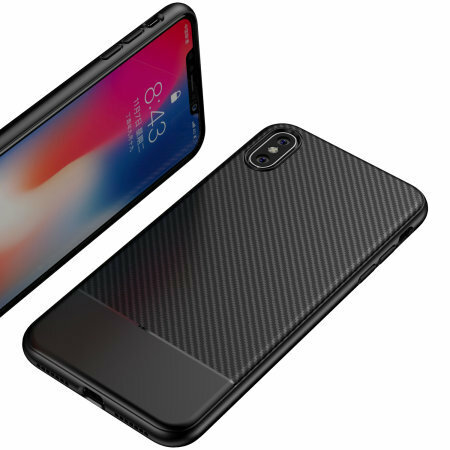 The case also features cut-outs for the ports and features of the Apple iPhone XS, including the dock connector, stylus, function buttons, fingerprint sensor and cameras.